Well, the last two years on WordPress have been nice, but I have to move back to blogger. Though WordPress is easier to use, Blogger has 5 times the storage space for free–that’s a lot of pictures! 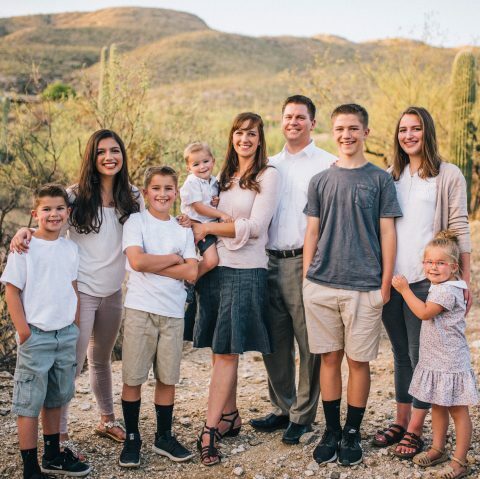 Click here to be transferred to the “real” Mergenthaler family blog. The site is sorely out of date, so I’ll work on getting it fixed. See you back at mergenthalers.blogspot.com! I love to read them. I hate to write them. What if I leave out something important or more importantly, somebody important? What if one person gets more coverage in the letter than another person? What if I forget to share an important event? What if I share too much? What if I embarrass a family member or inaccurately portray their interests and how they spend their time? The pressure is just too much!! For many years, I sent out a cute letter with our Christmas cards. I was good at creating lively newsletters and hilarious lists. I was excited about compiling our news in a way that people might like to read. A couple of times, I wrote poems or spoofs on popular Christmas songs. Sometimes, I didn’t even try to be cute or funny–just genuine. I wrote a brief update, wished everybody a Merry Christmas, and called it enough. For the last few years–maybe even several years, I have declined the pressure of “the letter.” Instead, I opted for a simple Costco Christmas card with whatever pictures I could find (we don’t always have a family picture). It has been all I can do to design a card, get it printed, gather addresses, stuff the cards in envelopes, write out addresses, add stamps, and deliver to the post office. Lately, many of you are receiving our cards well after Christmas. But I love to read your letters, so maybe you miss reading mine? I decided today that our family and friends have gone too long without a proper update from us. I would write a Yearly Update. I sat at the computer and ruminated about format. Newsletter? Poem? Basic letter? Bulleted list? Because no theme or idea was forthcoming, and I am short on time all of the time, I went with “basic letter.” I found a cute stationery and started to type. I got the date and “Dear Friends and Family” down and that’s it. I couldn’t figure out how to start. And I was stuck again. I’m sorry you won’t get a Christmas letter from us, but you will probably get a card with is a slightly out-of-date family picture. And if you’re truly wishing you knew more about what the Mergenthalers have been up to in 2018, look back at the posts on this blog. I know some of what I write is grumpy and some of the time I just throw pictures on, but I think it’s a more effective way for me to share our family life with you. I am relieving myself from the required “yearly update” by justifying that I can write a weekly update (or maybe even monthly or less, but I will write something). And I will not write another Christmas letter unless I am completely inspired with an idea and I have the time to make that idea happen (so, probably never). But please DO send your cards and letters to me. I will read them and enjoy them and share them with our family and probably wish I had written something like it for you. Merry Christmas! I’m off to address some cards. While you’re waiting for the mailman to come, check out these cute pictures of our preschool group. I rotate teaching with a few other moms and it was my turn this week. We talked about Mail, wrote letters to Santa and family members. We just happened to take our letters out to the mailbox as the mailman was driving through our neighborhood. Seriously, I could not have planned it any better. The kids loved giving their letters to the mailman to send. He was sweet to the kids even though I know he was busy. P.S. I just learned that WordPress has a 3 GB limit on pictures I can post. Phooey!!! So, I can’t upload any more pictures without paying $4, $8, or $25 a month for more picture space. I’m not a fan of that. There might be some silence on this blog until I figure out what to do. Any ideas? Back to blogspot? Did they fix their app? Hmmm . . . maybe the days of free blogs are past. Sad. It’s about the only way I share pictures. Hallo, jullie! The title of this email is literally, “never, ever, ever, ever, ever”. I just think it sounds funny, but it doesn’t really have anything to do with my week. I officially have 12 more days in the MTC before they ship me off to the jungle! I could not be more excited. I wore my chacos for P-day even though its like 30 degrees because I want to prepare for proselyting in Suriname. The MTC is a wonderful place full of learning and the Spirit, but I am so ready to get out there and meet the people of Suriname. This week was an awesome week full of spiritual experiences, MTC cookies, impromptu dance parties, and the ever-beautiful Dutch language (that was sarcasm. Dutch is gross.) Nothing super exciting happened. It started off on a sad note though….at 3 am on Monday, we took Zuster Tulaga to her shuttle so she could fly to Suriname. I’m so excited for her…we agreed she’s going to master the Dutch language in 2 weeks and be my trainer when I get there. My new companion is the only Zuster in the MTC learning Mongolian! Her name is Zuster McKinney, and she is probably the second-funniest person I’ve met at the MTC. We are both solo-missionaries, which means we aren’t with each-other all the time and when the other is in class, we have to find two elders or a sister to be a temporary companion. It’s been fun because I’ve been companions with everyone in my district, so I’ve gotten to know everyone super well. My favorite companions are the two elders going to Suriname. They think Suriname is like this super dangerous, 4th world country with more animals than humans (that last part is probably true) and so they always talk about how we are going to starve and it cracks me up. Random thought: the food here was awesome the first 2 weeks (unlimited deserts…I’m not kidding), but now it is catching up to me. There have been a couple of times this week where I’ve felt, as Joseph Smith describes, “the power of some actual being from the unseen world’ moving in my bowels after consuming some of the meals here. They’re doing something to the food that does not make it sit well….I’ll leave it at that hahaha. On Sunday we had a devotional by the MTC presidents, Brother and Sister Martino. They are both converts to the church. They told their conversion story, and it was powerful. Two missionaries with one baptism each ended up affecting generations forwards and backwards (they’re really into family history work). When we are on the Lord’s errand, He can work miracles through us! I was so touched by their message. It made me feel so grateful that I get to be a tiny part in the massive missionary work going on around the world. Emily’s video of her testimony in Dutch is awesome! Unfortunately, it’s too long for me to include here. When Brooklyn watched the video, she was giggling like a crazy person. It really is funny to see Emily’s cute face speaking Dutch. She has learned so much already!